In my opinion, reviewers are great at building the connection between the companies that offer the products and the customers who want to buy them. For customers, by reading or watching the reviews, purchasing confidence may be increased or decreased, depending on the outcome of the review. As for manufacturers, they can improve their products according to the feedback from reviewers before the customers start to complain, while getting some marketing out for their products. Before the age of the Internet, magazines were the most important way to publish reviews and they dominated the role for many years. Things changed eventually, and now people are more interested in reading online reviews. Compared with the paper-based magazine, there are several advantages, including publishing reviews quickly while delivering them to readers with practically no delay. More importantly, it is environmental friendly, so how awesome is that! In addition, if you think reading is not enjoyable, there are also video reviews. Thanks to YouTube, people do not need to pay big money to publish their video contents. 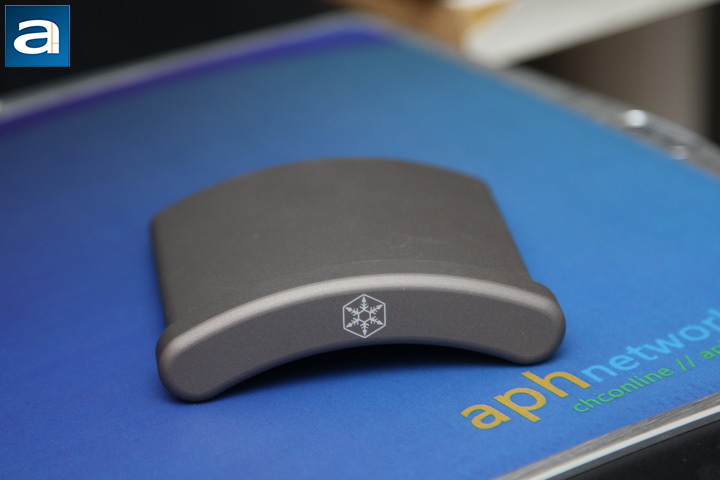 Recently, we here at APH Networks published our first video review on the dodocool DA84 Mini Bluetooth Speaker. So guys, before digging into this review, check out the girl, uh, I mean the review video, and hit the Like button and Subscribe! Today's review unit, the SilverStone Ensemble EBA02, was actually developed with the cooperation of the Linus Tech Tips and their community. I do not think I need to introduce you who Linus Tech Tips is, since I believe he is one of the most well-known Canadian in the geek world. But is the EBA02 really a good headphone holder? Let us read on and find out! 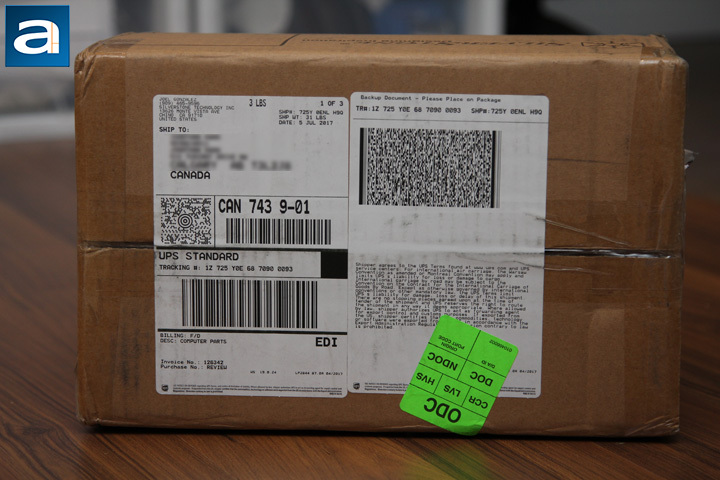 The SilverStone Ensemble EBA02 arrived via UPS Standard to us here in Calgary, Alberta, Canada. The package was sent from Chino, California. The parcel is clean and in good shape. Very few dents or scratches are found on the box. There was nothing I needed to worry about, since I knew the EBA02 was made out of solid aluminum. Cast aluminum is used to make car engines, so it sure can take the impact you can imagine during shipping. After pulling the review unit out of the shipping box, we can get a closer looker at the retail package. The overall design of the package is quite low key, since it does not have too many bright colors. Three colors, namely black, dark grey, and light grey, make up the major elements of the box. The background color of the whole front cover is black, but it is not just boring pure black. There are diamond shapes with lighter shades of grey color blocks showing to give the background a little bit of style. On the top left side, the SilverStone company logo, name, and motto are printed in white and highlighted in a black block. The product's model name is printed in the middle left of the front cover. At the lower left, we can see a picture of the product. The picture does not only show how the EBA02 looks, it also explains to us the headphone holder has two detachable pieces. As for the reasons of using two detachable parts, they can be found in the descriptions below the product picture, which I will get back to it later. On the right side of the front cover, the product's application scenario picture is shown. In this picture, there is a headphone comfortably resting on the hanger of EBA02. Below the picture, the color of the exact product in the box is presented. This time, we got the charcoal colored headphone hanger in the box, although the two pictures demonstrate a silver one. Generally speaking, the retail package design does its job. By just glancing at the package shortly, customers can easily capture the overall design of the product. Without a pair of X-ray glasses, I had to open the retail box and pull everything out to find out what is included in the box. It is not a very big box, but there are quite a few things contained. There are three aluminum parts for the main structure of the headphone holder. To prevent scratches, all the aluminum blocks in the picture are isolated with polyethylene foam sheets. The screws and wall plugs are provided for assembly and wall mounting, and they are contained in a resealable bag. If you do not want to drill holes on your wall, three pieces of 3M tapes included in the package are there for you to use. Like IKEA furniture that requires installation, a nice manual is a necessity, and without any doubt, this is in the box. The headphone hanger of the EBA02 is comprised of two parts. As you can see from the photo above, the part that has direct contact to the headphone there features a nice curvature. Thanks to the shape, the weight of the headphone can be evenly distributed on the hanger, such that the headband shape will be preserved. If the hanger of a headphone holder is not well designed, the shape of the foam cushion on the headband could also be affected due to the gravity, and consequently the user will not feel comfortable wearing the headphone. To connect the hanger to the hanger base, users can find the two corresponding screws. The screws go from the flip side of the hanger base to be screwed in. You can see two holes on the hanger base plate and four holes on the back of the hanger in the above photo. The two holes on the base plate are for the installation of the hanger. The two axles on the base plate line up with the two holes on the inner sides of the hanger for precise installation. 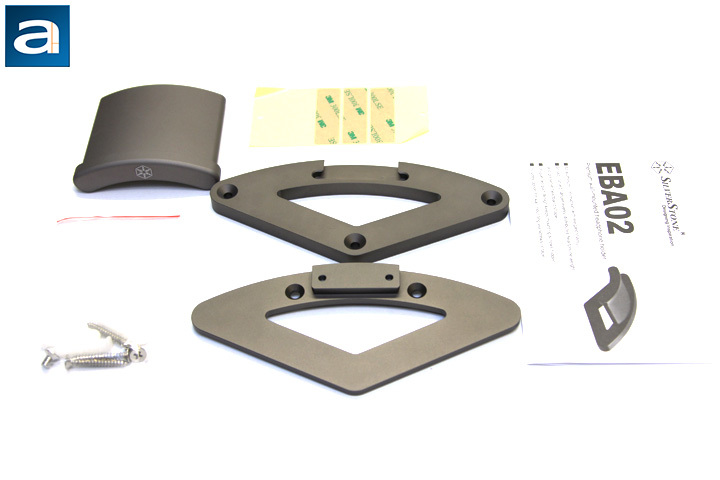 After the hanger and base plate are screwed together, they can be attached to the wall mounting plate. The details of the wall mounting plate are showing in the above picture. It has the same circular sector design as the hanger base plate. Three screw holes are located at the three apexes of the mounting plate. With the help of the three screws, the EBA02 can be firmly secured to the wall. However, the only concern of using screws to mount the holder lies in the three holes you need to drill on the wall. According to the user manual, the holes need to be 6.35mm wide and 30mm deep. Therefore, you better consult your landlord or your parents before drilling if you do not own the place, haha. It is also possible that you want to mount the headphone holder on glass or metal surface where the drilling is not an option. Fortunately, to deal with those situations, SilverStone also includes three pieces of 3M double-sided tape for screw-less mounting. 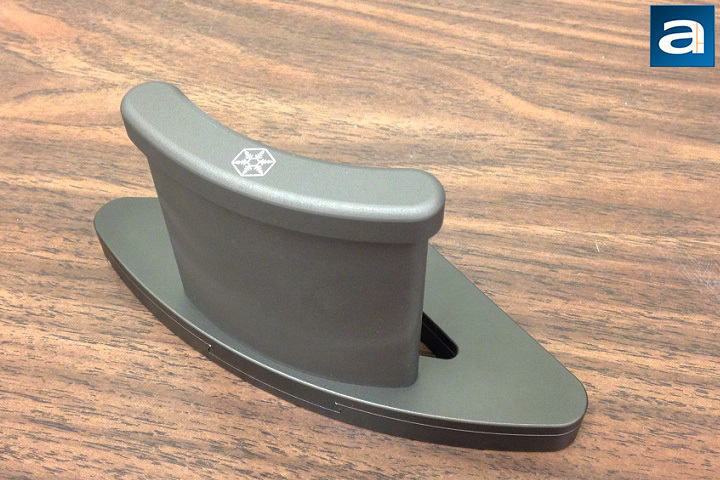 After the mounting plate is attached to the wall, the hanger can be simply clipped on to it. With the hanger clipped on, the three screws are hidden under the hanger base plate. I cannot deny that the detachable two-part design is a very smart way to hide the screws, and it is a major selling point of this product. Putting everything together, I find the whole thing is very elegant. The curvature on the hanger blends in to the wall mounting plate well very, since the top side of the wall mounting plate also features the identical curvature. On the other hand, the wall mounting plate with circular sector shape design provides not only a stylish looking, but also a firm attachment to the wall. It is a good looking headphone holder for sure and there is no doubt about the build quality. The EBA02 is made out of aluminum with charcoal finish. Aluminum is not the hardest metal in the world, but it strikes the perfect balance with durability and weight. Although the use of aluminum is intended to make the EBA02 light, it still feels heavy. 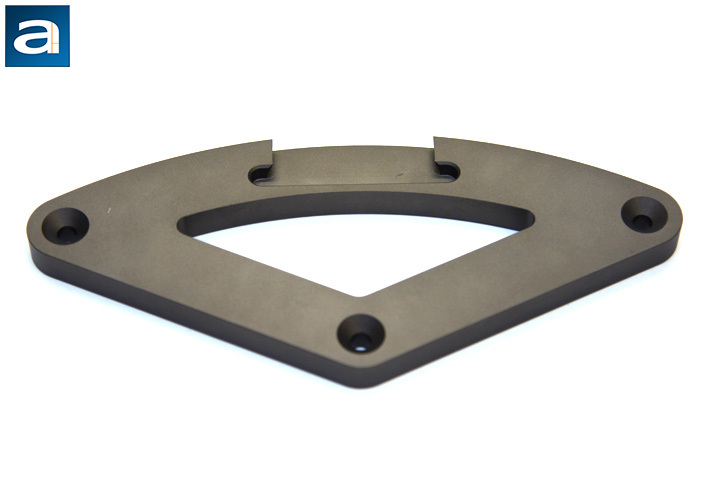 Comparing with the headphone stand SilverStone Ensemble EBA01's 1.48kg weight, the EBA02's 0.44kg is much lighter, but it is hard to ignore the fact that this headphone holder may need to use tape for mounting. Before I tried it out on the wall, I was pretty skeptical about using just 3M double sided tape for such heavy stuff. After several test fittings of the EBA01 on the wall, I finally decided where to mount the headphone holder. Since I did not own the place, I had to use the provided double-sided tape to prevent damage to the wall. These strips were very adhesive, and it seemed to me if I could find any smooth surface like glass, there would be no problem at all. However, I chose to place the EBA02 on the wall with eggshell finish. In my case, the original 3M tapes did not work since they were unable to provide enough contact to the relatively rough eggshell surface. To solve this problem, the 3M Scotch outdoor mounting double sided tape would be a better choice. 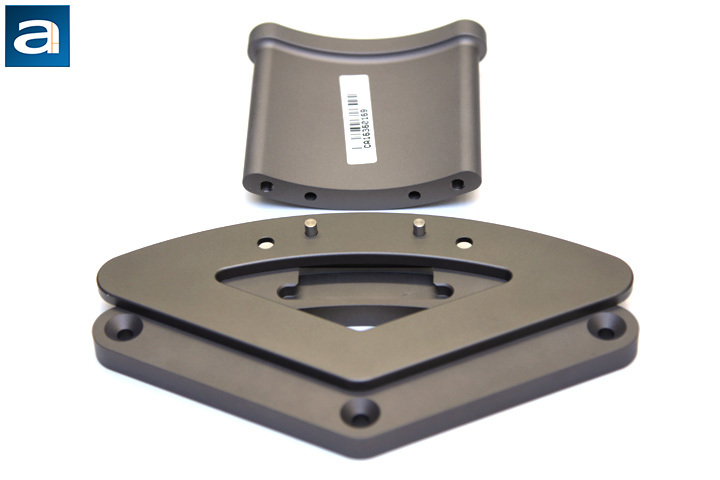 I wish SilverStone could have that included into the box, so that the EBA02 could be mounted almost on any surface without using screws. The charcoal color looked pretty good on the white wall. I put the GAMDIAS HEBE M1 RGB on the EBA02 and I noticed the curve of the headband matched very well with the curve of the hanger. There was no obvious stress point found on the headband. The headphone holder did its job to preserve the shape of the headband. The width of the hanger could only fit one headphone. 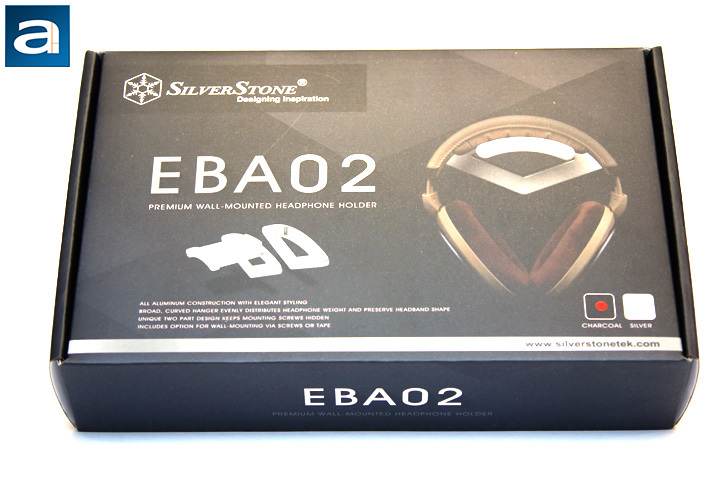 Unlike the EBA01, which was capable of hanging two headphones, the EBA02 is designed only for one headphone. On the other hand, I also noticed there is no dedicated cable management on the EBA02, which is also disappointing. Generally speaking, the SilverStone Ensemble EBA02 is a simple product in terms of design. It also showed you do not need to have hundreds of highly experienced designers and engineers to deliver the design. The development of this headphone holder really involved a lot of effort from the community, and it was an interesting project for YouTubers and fans. The result turned out to be quite good. It is a pleasant looking piece of art made out of aluminum to put on your wall. The size and shape of the curvature on the hanger is not only elegant, but also functional in terms of preserving the headband shape. To further enhance the elegance, the unique two-part design hides ugly things like mounting screws. For colors, there are two choices; namely the charcoal and silver are available for purchasing. Users really have the freedom to match their headphones with the hangers according to their preferences. My only suggestion to improve this product stems from the fact the included 3M double sided tapes are too thin. It would be better to have thicker, heavier duty outdoor double-sided tape with the product for better installation experience. For pricing, at press time, the EBA02 with charcoal color is about $70 USD. It is definitely not a bargain. For those of you who really appreciate the design of the headphone holder but have the concern of the price, I think I have a solution: Buy a quality pair of headphones first, then have a good reason to spend $70 on a headphone holder. 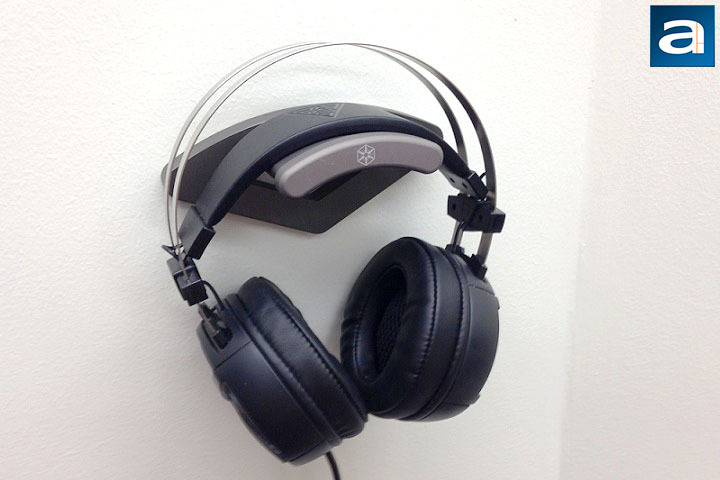 The EBA02 is an elegant and sturdily built headphone holder you can mount on the wall. Do you have any comments or questions about the SilverStone Ensemble EBA02? Drop by our Forums. Registration is free, and it only takes a minute! posted 17 hours and 30 minutes ago, with 9 posts. posted 21 hours and 59 minutes ago, with 9 posts.